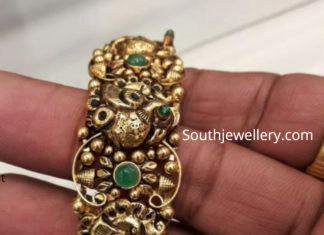 22 Carat gold antique peacock nakshi kada studded with emeralds by Premraj Shantilal jewellers. 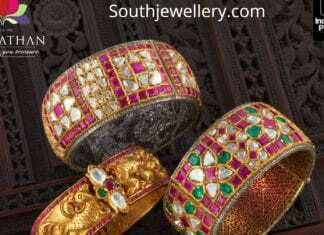 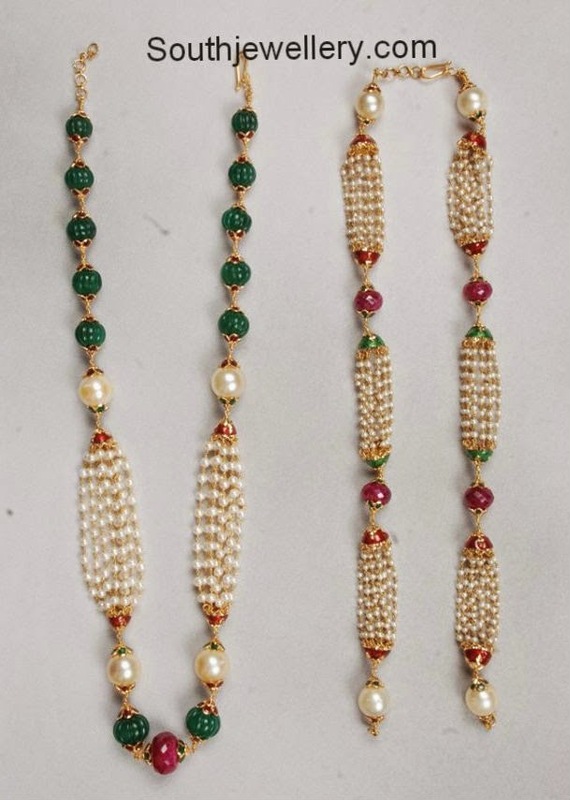 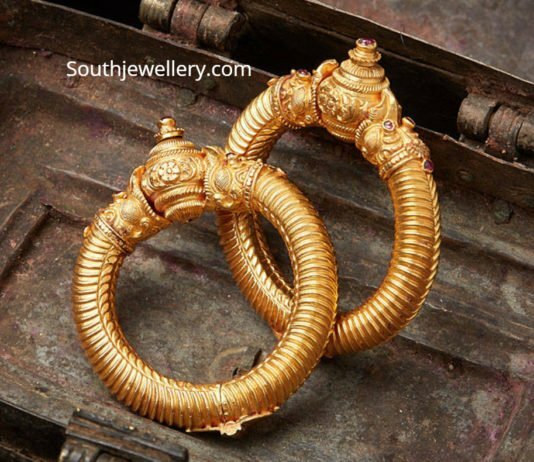 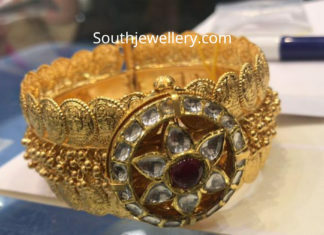 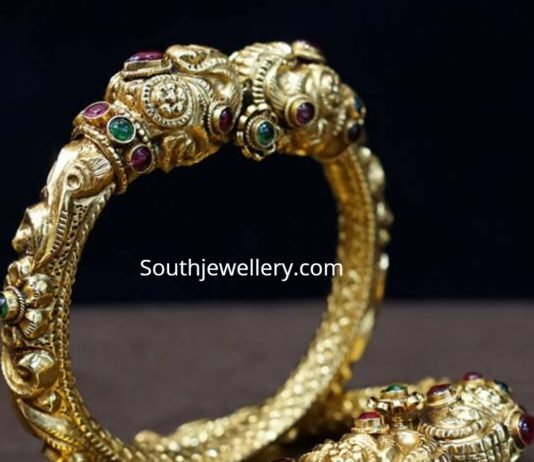 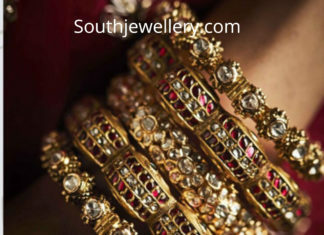 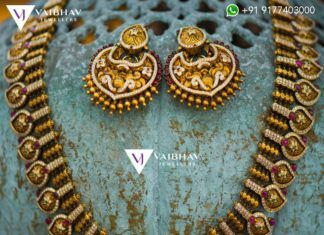 22 Carat gold antique broad bangles studded with polki diamonds, rubies and emeralds by Navrathan jewellers. 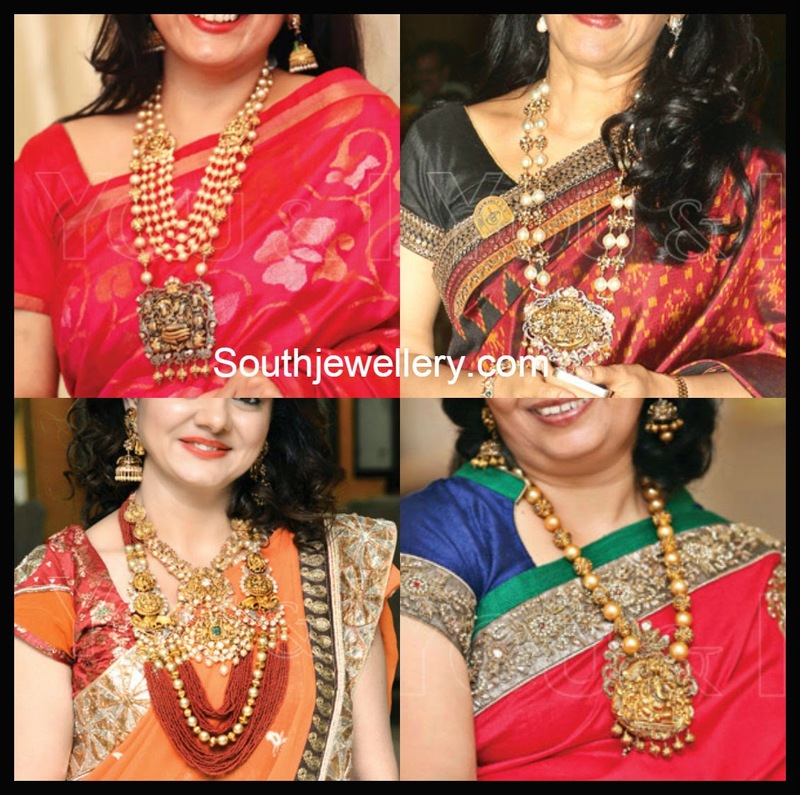 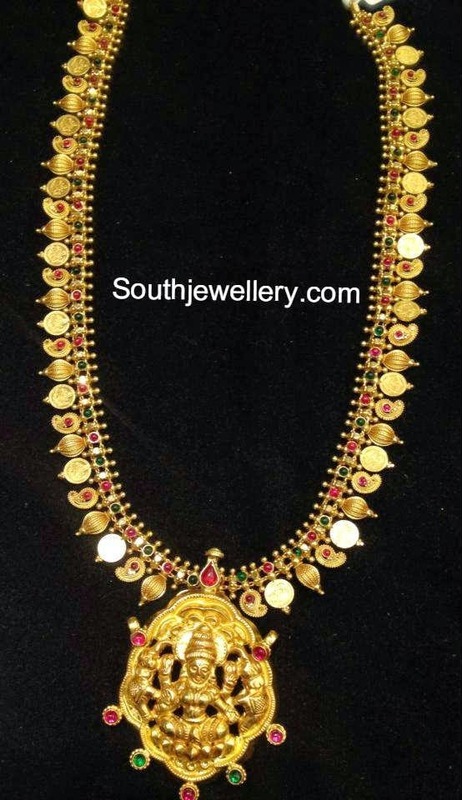 22 Carat gold antique finish Lakshmi kasu kada with polki diamond pendant by Premraj Shantilal jewellers. 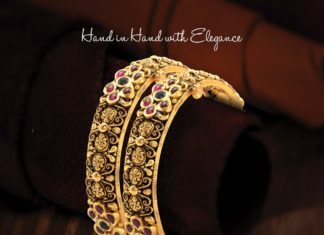 22 Carat gold antique finish bangles studded with kundans and polki diamonds by Kishandas Jewellery.